Save desk space while increasing productivity with the 9112-Switch-D-FM monitor mount with a quad monitor setup (2-over-2). Suspend four flat panels, 2-over-2, above your work surface with the Switch multi-monitor mounting system. Save valuable workspace and reduce desktop clutter. 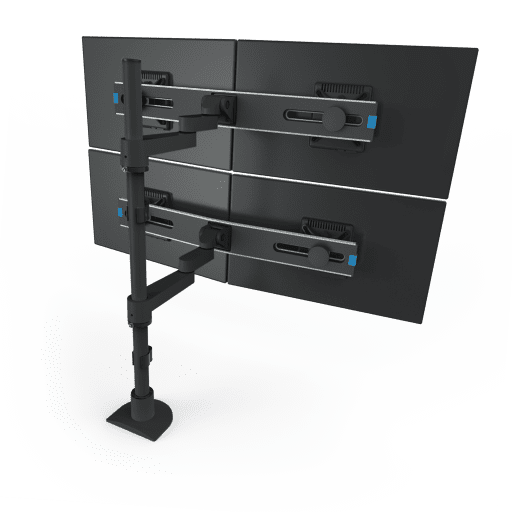 This quad monitor mount features a unique cable management that allows cables to be tucked under the forearm extensions. The adjustable Switch bracket on this quad monitor setup allows you to adjust monitors and also allows rotation. Includes our spring-assist monitor tilter for effortless motion. 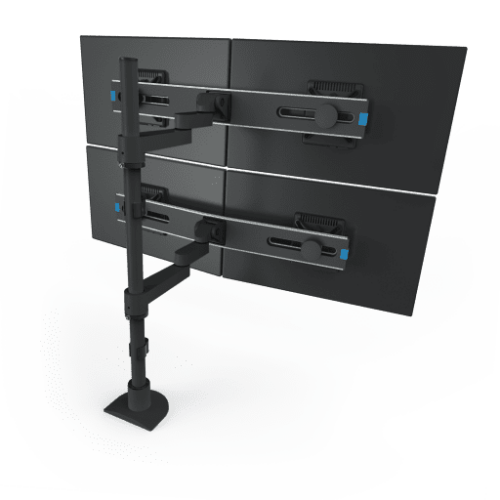 The Switch multi-monitor mounting system works with all VESA 75 & 100 mm VESA monitors. 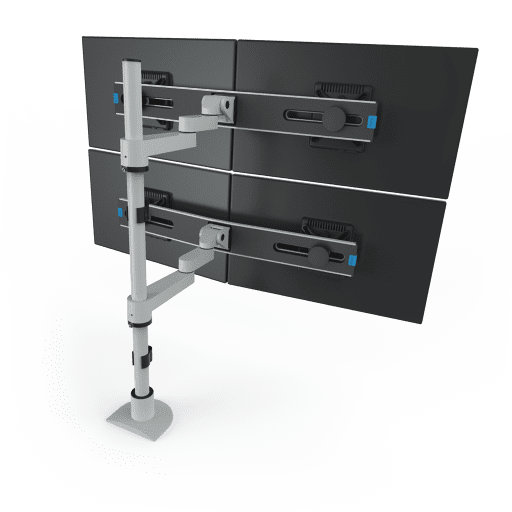 Innovative?s configurable Switch multi-monitor mounting system meets your current mounting requirements, but also easily adapts to meet your future requirements! You can convert your monitor configurations with little time or effort, often without even having to purchase additional components. Are you looking to mount 8 flat panels (4-over-4)? Order quantity of 2, 9112-Switch-D-FM. 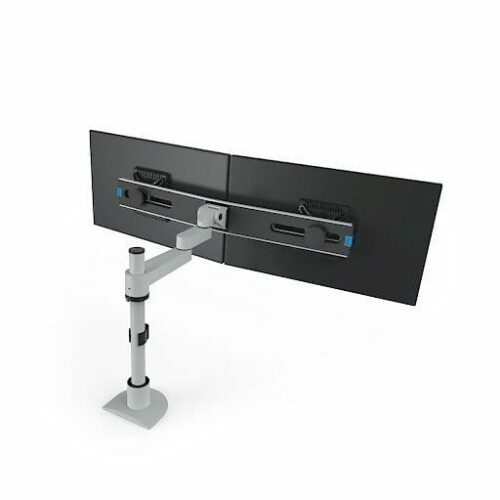 Multi-monitor mount features three articulation joints for greater reach and flexibility. LCD monitor mount enables monitors to be set at any desired height along the included 28" pole. 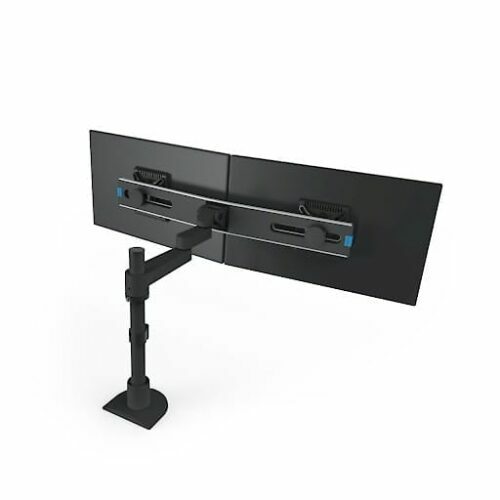 Switch multi-monitor mount is VESA-monitor compatible - 75 & 100 mm VESA adapters included. Quad flat panel mount includes FLEXmount? with six mounting options.